PBS KIDS enters the kids’ wearable tech space with the launch of a new app. The leading educational children’s media brand has partnered with Moff, makers of the award-winning kids’ wearable Moff Band, to launch the new, free PBS KIDS Party App, which provides a unique digital experience that encourages movement and creative play. The app can be played with a mobile or tablet device, and is enhanced even further with the use of a Moff Band, a wearable smart toy that enables kids to play games and make sounds through movement. With the debut of this innovative app, PBS KIDS extends its commitment to using leading-edge technology to help kids learn in new and groundbreaking ways. Designed for 5- to 8-year-olds, PBS KIDS Party uses the latest advances in wearable tech to help kids learn through imaginative play and movement with interactive games that integrate dancing, counting and more. The app connects to a Moff Band via Bluetooth for an enhanced experience, enabling kids to play through four different sections, including movement- and creativity-focused activities that encourage them to move away from the device and be imaginative in how they play. 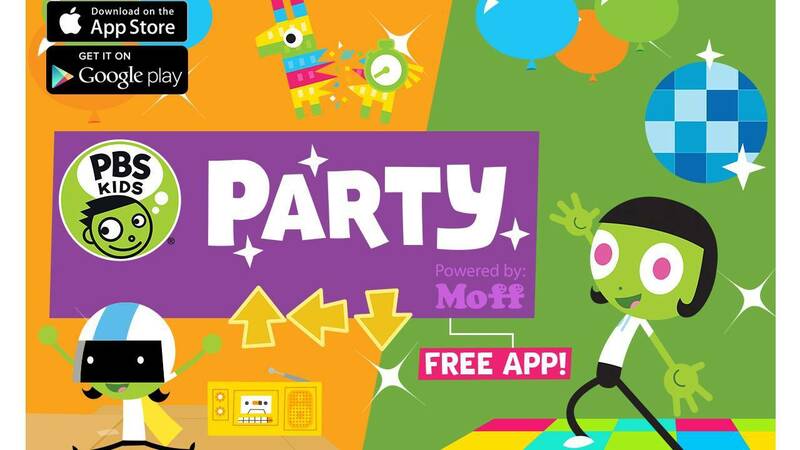 PBS KIDS Party is also playable without the Moff Band, using a mobile or tablet device. PBS KIDS Party includes the following four games, designed to foster learning through active play. Additional games will be added in the coming months, including a motion number game focusing on early elementary math skills, as well as more interactivity throughout the app. Dance: In this game of Freeze Dance, you can freestyle to eclectic country, disco or hip-hop tunes. You can also play the Follow Along game and master dance moves to the beat. Your Sounds: Get creative and record your very own sound. Move your arm to play back your sound and let the endless amount of creativity and imaginative play begin. Piñata: Play two modes of Piñata, where you can swing to break piñatas or race against the timer to break as many as you can. Numbers: Play with numbers through movement or a tap of your finger to pop balloons, blast off a rocket and more. PBS KIDS Party is now available for free on iPhone, iPad and iPod touch, as well as Android mobile and tablet devices in theGoogle Play store.